Cynthia received her Bachelors of Fine Arts in Ballet from the University of Utah, with a focus in teaching, character, and performance. She also has a Bachelor’s of Science in Exercise and Sport Science. 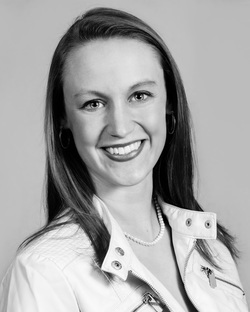 While dancing at the U, she was a member of Utah Ballet and Character Dance Ensemble. She had the chance to travel and perform character dance in the Ukraine, South Korea and Spain. ​Cynthia grew up training in a wide range of styles including tap, jazz, hip-hop, lyrical, contemporary, and tumbling. She has received numerous scholarships and awards in multiple styles. She has performed with professional companies such as Odyssey Dance Theater, Mountain West Ballet, Divinity, Utah Regional Ballet, and Utah Ballet. She is currently dancing with Municipal Ballet Company.